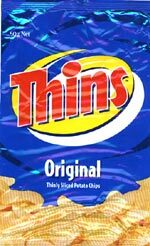 Taste test: Thins Original are a really good thin chip. In fact, they are a great thin chip! It is rare to get a disappointing packet of them. Along with a few of the flavoured Thins (although not all, see Light and Tangy) they consistently deliver eating pleasure. Thinly sliced, cooked to perfection and lightly salted - bliss! Smell test: Yummy chippy, salty smell. 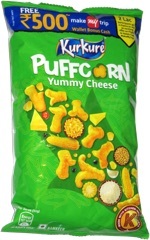 This snack was discovered by Mairéad Doolan in Toorak, Australia. Review published .